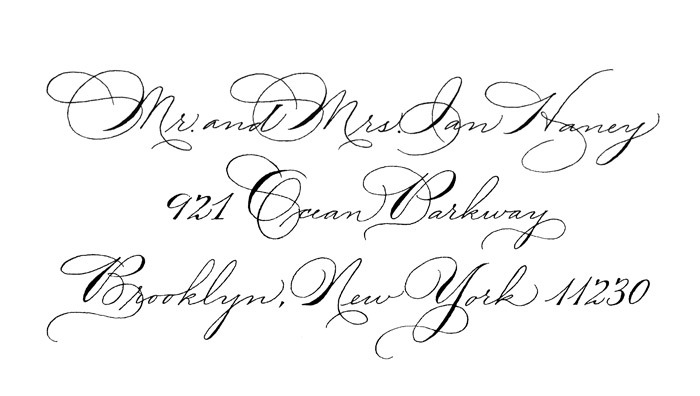 Ornamental Penmanship. Black on cream. Color match your event.